When Grandmama Coles gets a big chance, Belle gets one, too. Belle's going to spend the summer touring the South with Grandmama and a swing jazz band! 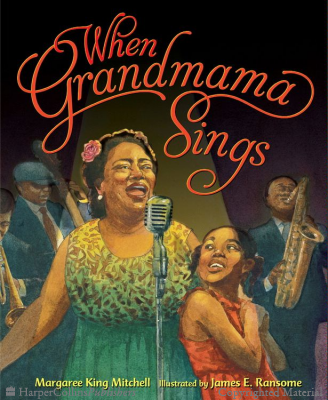 Belle's never been outside Pecan Flats, Mississippi, and she can't wait to go on the road with Grandmama, helping her read signs and menus and hearing her sing. There are so many new things to see on their travels through the Deep South. But some things aren't new. Everything is segregated, just like at home. But Grandmama stands up for what's right. And when she sings, Belle knows that Grandmama's song can bring everyone together. 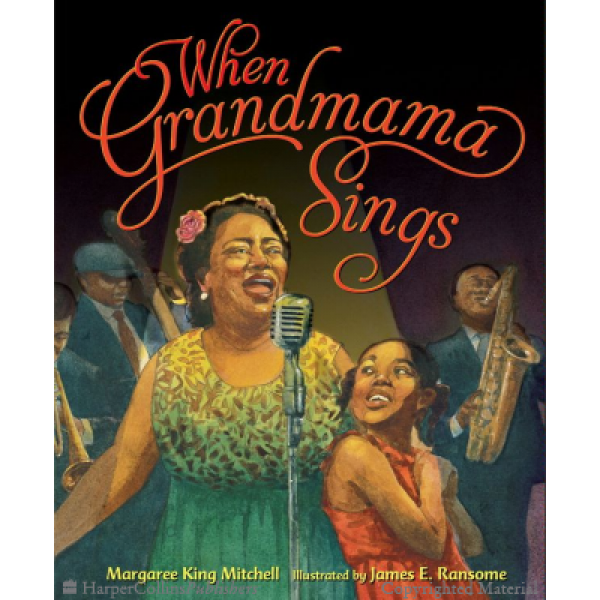 From Margaree King Mitchell and James E. Ransome, the award-winning author and artist of Uncle Jed's Barbershop, comes this new picture-book collaboration about the gift of love, the beauty of music, and its power to bring people together—even in the segregated South.